When new ecommerce websites are getting launched almost every day, how will you survive? This is a prime concern for many businesses who are relying mostly on their online stores. However, the already established ones too are looking for new ways to sell more and win more loyal customers. There are certain already established techniques by which businesses try to promote themselves. But only those who think innovatively and implement strategies in smart manner only succeed. With holidays covering a lot of columns on calendar in the coming weeks, you should make the best out of the opportunity when people are in a festive and shopping mood. Giving them some irresistible offers while you try to sell more is the underlying thing. It is in fact an ethical honey trapping where you convince your customers to buy more and of more value from you. It is actually a win-win situation but executing it right is where the catch lies. If you have Magento experts, Open cart experts you can simplify implement this game in your store or with the help these online store developers you can save money. But if your online store is built by paid shopping cart like Bigcommerce, Shopify, yahoo it is not that much simple to implement this game in your store as it will be much expensive. As a solution those who have built their online store by paid shopping cart team, you can request your server provider whether they provide new games to attract customers into store in big holidays. Let us discuss some of the games or events that you can conduct to gain enormous favours. You can start by creating a unique and attractive landing page for this special offer campaign. On clicking the advertisement, the user should reach on the landing page. The products with certain price ranges (For example : above $100.00) should be displayed. Customers should be given the provision to add products directly to the cart from this page. In the backend, you can note such shopping done separately by making use of a UTM parameter for this landing page URL. Also keep a track of those regular users who purchase every day and opt the 10thor any number of purchaser for gifting. Keeping the game subjected to certain terms and conditions make the whole event more interesting. There should be a time frame and a minimum amount must be spent by the participant every day. Besides, not more than a limit of products should be purchased per day. Minimum number of purchases should be mandated for all days. Winners will be decided through lucky draws. Major shopping platforms like Flipkart and Amazon have embraced this and benefited hugely. Certain items especially for clearance are offered at discounted rates. Once customer heard & attract in your offers, next time definitely they will check and come back in your store to check whether any new offers provided in holiday period. 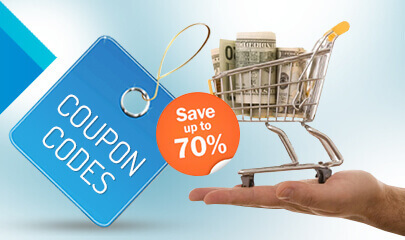 Providing coupons for bundle products purchasing is a trick by which you can tempt the visitor to buy more. Selling related products together as a bundle is very helpful when certain products as single find lesser demand. 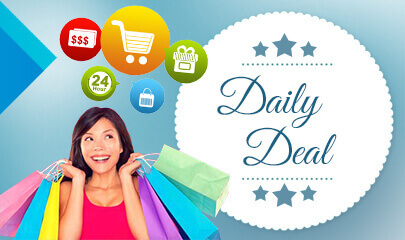 You can sell some specific products upto certain numbers at a reduced rate every day. This state of emergency will grab more attraction. Another product will be introduced only after the current one is exhausted. People will wait eagerly for the next product as only limited availability is there and there are chances for great offers. 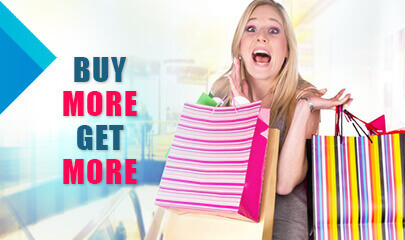 When people buy more than a specific number of products on any particular day, more discount can be availed to them. Once the benefit is obtained, customers will regularly check for such offers. With above games, sales can definitely skyrocket.